Benjamin Franklin once wrote, "Wine is constant proof that God loves us and loves to see us happy." There is no better place in the world to confirm what Ben said than in Tuscany. This region in the heart of Italy is chock-full of great wineries, but I like to focus on two well-respected red wines, each centered on a specific town: Montepulciano is known for its Vino Nobile, and Montalcino is famous for its Brunello. The key grape in each is the Sangiovese variety. If you're looking for a home base, the town of Montepulciano is one of my favorites for exploring Tuscany and its wine country. Its most famous product — Vino Nobile di Montepulciano ("noble wine of Montepulciano") — is a high-quality, dry, ruby-red wine made of at least 70 percent Sangiovese grapes. Aged two years (or three for a riserva) — one year of which must be in oak casks — it's more full-bodied than a typical Chianti and less tannic than a Brunello. It pairs well with meat, especially roasted lamb with rosemary, rabbit or boar ragout over pasta, grilled portobello mushrooms, and local cheeses like pecorino. 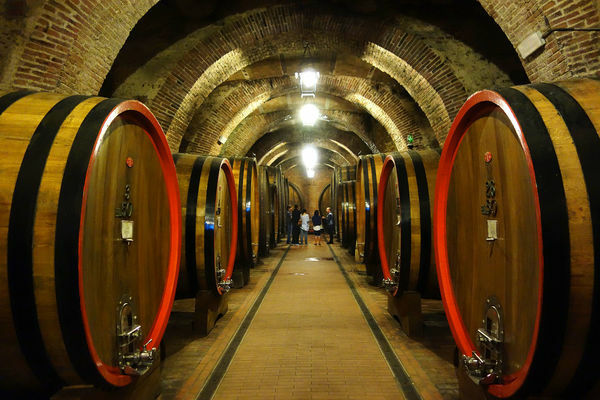 Montepulciano has several historic wine cellars to explore, and then enjoy generous tastings. The wine is almost a religion here, and guides worshipfully walk you through cellars as if they were sacred spaces. At the Contucci cellar, your host is the lively Adamo. For 50 years, Adamo has made sure visitors enjoy a tasty education in the Nobile di Montepulciano. I know: I've been checking in on him for over a decade. During one recent visit Adamo pointed out dozens of barrels of Croatian and French oak that cradle the wine through the aging process. The wine picks up the personality of the wood, he said, with the French oak giving the wine "pure elegance," and the Croatian offering something more masculine. After about 35 years, an exhausted barrel has nothing left to offer its wine, so it's retired. 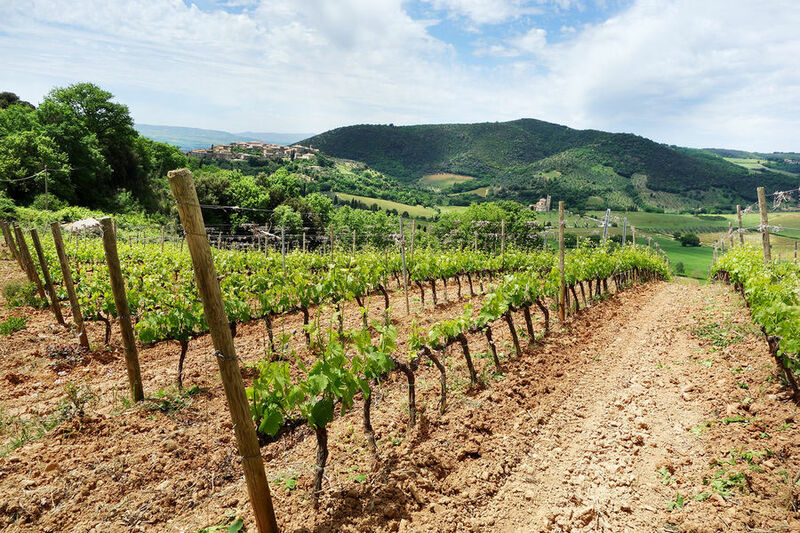 Not too far away is another Tuscan wine mecca — Montalcino. It's a pleasant, low-impact town crawling with wine-loving tourists and a smattering of classy shops, but little sightseeing. Everyone touring this area seems to be relaxed and in an easy groove...as if enjoying a little wine buzz. Its wine, Brunello di Montalcino ("the little brown one of Montalcino" — named for the color of the grapes before harvest), ranks among Italy's finest and most expensive. Made from 100 percent Sangiovese Grosso grapes, it's smooth, dry, and aged for a minimum of two years in oak casks, plus an additional four months in the bottle. Brunello is designed to cellar for 10 years or longer — but who can wait? It pairs well with the local cuisine, but the perfect match is the fine Chianina beef. The countryside around Montalcino is dotted with classy wineries that are evangelical about taking visitors on tours and tastings. Unlike Californians wineries, here in Tuscany you need to telephone the day before to book your tours. Tours last an hour, cost about $10–15, and finish in a tasting room where, with expert guidance, you'll develop a better appreciation for the fruit of these vines. If you're paying for a wine tasting, you aren't obligated to buy. But if a winery is doing a small tasting just for you, they're hoping you'll buy a bottle or two. Italian vintners understand that North Americans can't take much wine with them, and they don't expect to make a big sale, but they do hope you'll look for their wines back home. 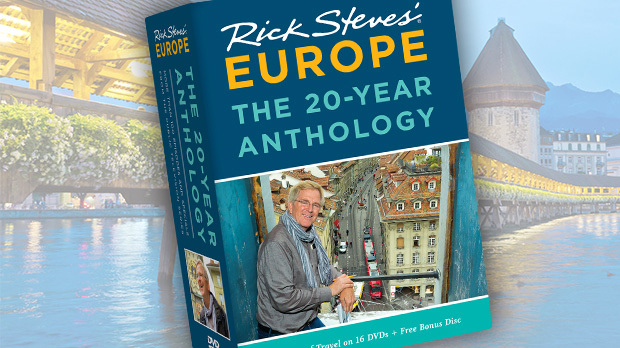 Some shops and wineries can ship it home for you. After your tasting, take time to stroll through the vineyards. You may notice "sentinel" roses at the ends of some of the rows of vines. These aren't just decorative. Because disease affects roses before grapes, historically the flowers acted as a canary in a coal mine, giving vintners advance notice if a phylloxera epidemic was imminent. Today the roses can warn of mildew. But disease isn't the only pest: Locals say that wild boars make the best winemakers — they wait to raid the vineyards until the grapes are perfectly sweet. At that magic moment, it becomes a race between the boars and the human harvesters. But humans have the last laugh (or bite) — boar is found on many Tuscan menus and is considered the perfect accompaniment to the local wines. 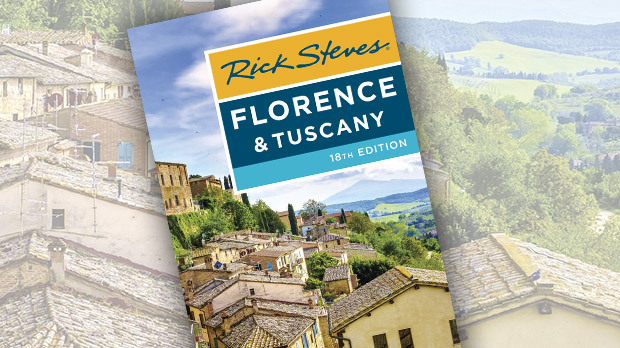 If your Tuscan dreams feature vibrant vineyards rolling to infinity, punctuated by snaking cypress-lined driveways; humble but beautiful (and steep) hill towns; and world-class wines to make a connoisseur weep, set your sights on Montepulciano or Montalcino.